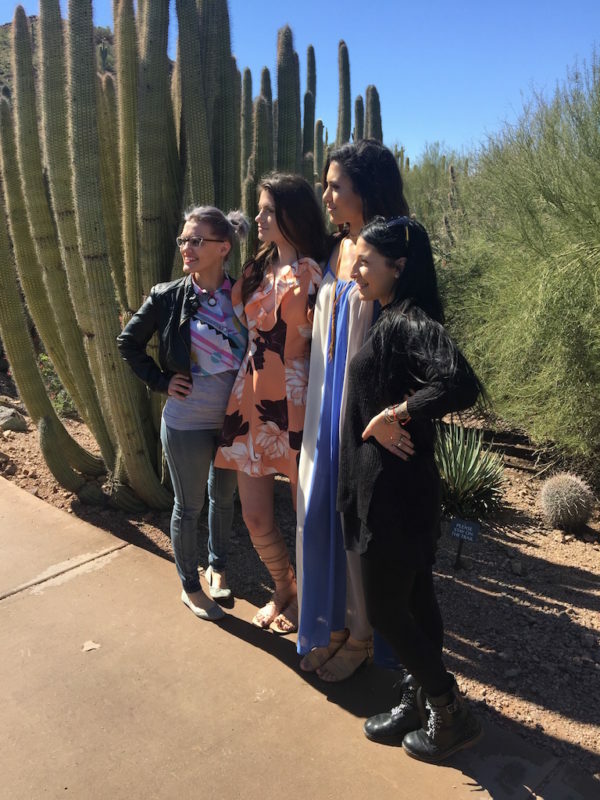 Spring has arrived in Phoenix and the beautiful Desert Botanical Garden provided the ideal backdrop for our “Haute Spring Trends” collaboration and photo shoot with Paradise Valley, North Scottsdale and Chandler Lifestyle magazines. Watch for the April issues to hit your mailbox in a few weeks if you live in the Phoenix/Paradise Valley/Scottsdale/Chandler area. The fashion spread will feature the latest looks from local boutiques Amy, inc and Vida Moulin on our lovely models Mjellma Gashi and Katherine Lowery. The talented duo of makeup artist Danielle Mauriello with Blo Blow Dry Bar and hair stylist Angela Kilzer with Salon 27 glammed up our models. All the gorgeous photos that you’ll see in the glossy magazines were shot by photographer extraordinaire Tonia Johnston. (These behind-the-scenes pictures below were snapped by us, while we oversaw the styling on the shoot, and if you follow Mom Style Lab on Instagram you caught us in action while it was happening!) While we wait for a look at the final result, here’s a sneak peek behind the scenes at our fabulously-fun photo shoot highlighting some of what you’ll see in the magazine. 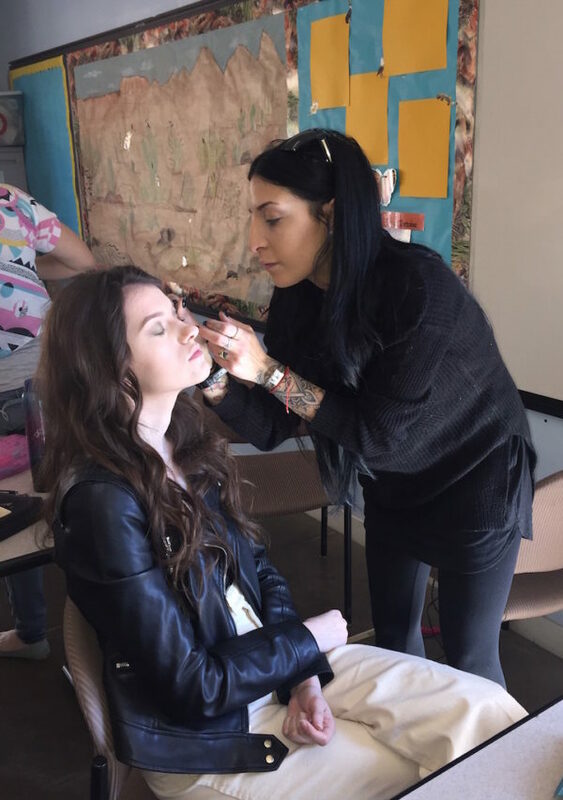 Danielle Mauriello from Blo working her makeup magic on Mjellma. Angela Kilzer of Salon 27, models Mjellma and Katherine, and Danielle of Blo between shots. The talented Tonia Johnston capturing the perfect shot. Mjellma is wearing a Trink Turk dress & Loeffler Randall clutch, both from Amy, inc in Scottsdale (480.425.1424). Model’s own earrings & sandals. We are simply OBSESSED with this clutch! Katherine has on a A.L.C. 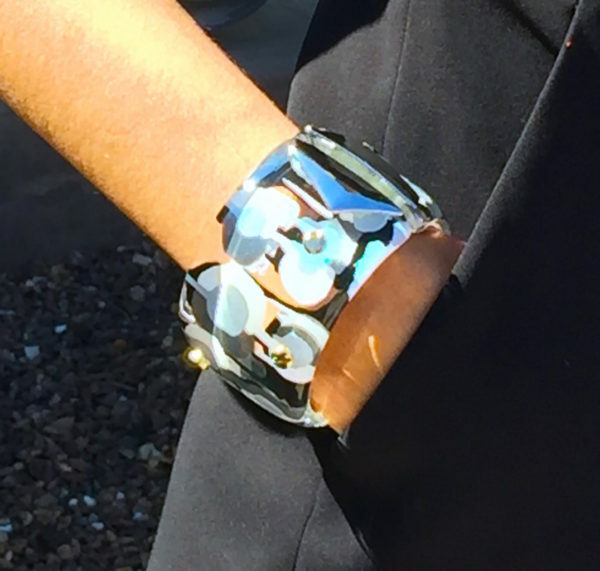 dress & Alexis Bittar bracelet, both from Amy, inc. Adidas shoes. Mjellma is wearing a Keepsake dress from Vida Moulin in Phoenix (602.265.1644). Stylist’s own bracelet & Zara sandals. Katherine is wearing a Line Dot dress & choker+pendant, all from Vida Moulin. Model’s own sandals. Katherine has on a Karina Grimaldi romper from Amy, inc. Model’s own earrings & sandals. Our gorgeous models Katherine and Mjellma posing between shots.